It stands to reason that many of us who enter the helping professions have a fundamental proclivity for being helpful, and we enjoy feeling needed and appreciated. In the case of psychotherapists, our professional training, our ongoing personal therapy, and our continuing education enable us to secure and maintain healthy boundaries with our patients. While we experience tremendous gratification and a sense of well-being when our clients are doing well, we are careful not to consciously or unconsciously demand that our patients please us in order to satisfy our need to feel successful and relevant. It is precisely this constant search for acceptance that individuals in a codependent or enmeshed relationship crave. Certainly, one does not have to be a twin to find oneself in this unhealthy attachment. 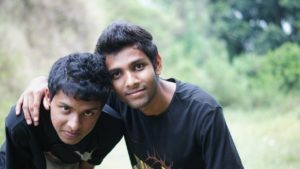 However, by virtue of their birth and upbringing, twins are paired with their same-age sibling throughout their lives. In many twin relationships, one twin takes on a caretaking role as a means of balancing personality dynamics. 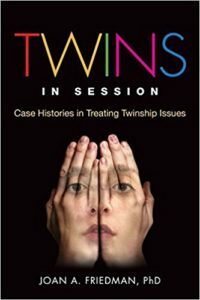 Consequently, such circumstances might put twins at risk for creating a codependent connection outside their will or control. Codependency does not refer to all caring feelings or behaviors—only to those that are excessive to an unhealthy degree. It often involves placing a lower priority on one’s own needs while being preoccupied with the needs of others. In doing so one forgets to take care of oneself. Often the codependent individual cannot stand the thought of being alone and no one needing them. Feeling needed fuels the illusion of being in control of oneself and the other. When the relationship is threatened by internal or external circumstances, both parties can experience tremendous anger, anxiety, and fear. A young adult male twin in his late twenties whom I work with has tremendous difficulty figuring out his identity, passion, and direction. He has grown up being concerned about the well-being of his twin brother. He did not give much thought to his own needs or feelings; his role was to enhance and ensure his brother’s safety and sense of self. My patient had no conscious idea what he was doing or why. He was content to believe that he held the key to his brother’s happiness and welfare. He had no reason to question or doubt his caretaking role until his brother began dating a girl in their sophomore year of college. When his brother’s loyalties shifted to this new intimate other, my patient’s emotional world fell apart. His identity and self-definition collapsed instantaneously like a house of cards. If he was no longer his brother’s best friend and core caretaker, who was he? Eventually he will be able to discover what he wants; however, he has to work through years of not knowing himself or even thinking about himself. What he imagined would always be his everlasting source of self-esteem and security has to be mourned in order to make psychological room for an emerging sense of who he is and who he will become. Have you dealt with rediscovering yourself after being lost in a codependent relationship? Let me know in the comments section. The image in this post is in the public domain courtesy of Vishva Navanjana.